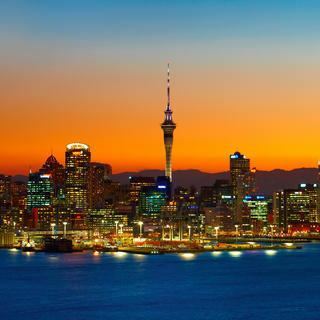 Auckland ( ) is a city in New Zealand's North Island. 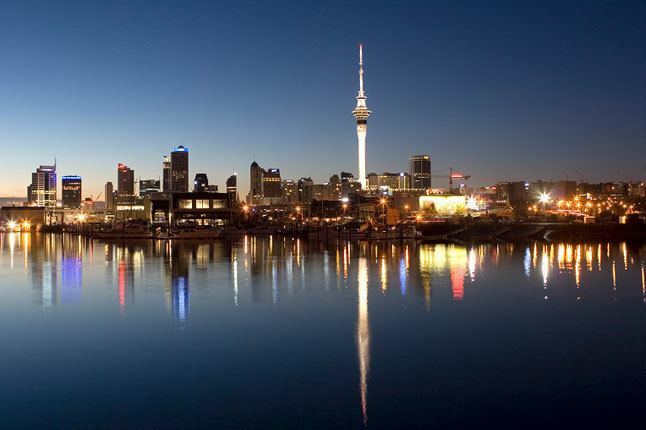 Auckland is the largest urban area in the country, with an urban population of 1,495,000,. It is located in the Auckland Region—the area governed by Auckland Council—which includes outlying rural areas and the islands of the Hauraki Gulf, resulting in a total population of 1,614,300. A diverse and multicultural city, Auckland is home to the largest Polynesian population in the world. The Māori language name for Auckland is Tāmaki or Tāmaki-makau-rau, meaning "Tāmaki with a hundred lovers", in reference to the desirability of its fertile land at the hub of waterways in all directions. It has also been called Ākarana, the Māori pronunciation of the English name. The Auckland urban area (as defined by Statistics New Zealand) ranges to Waiwera in the north, Kumeu in the northwest, and Runciman in the south. Auckland lies between the Hauraki Gulf of the Pacific Ocean to the east, the low Hunua Ranges to the south-east, the Manukau Harbour to the south-west, and the Waitakere Ranges and smaller ranges to the west and north-west. The surrounding hills are covered in rainforest and the landscape is dotted with dozens of dormant volcanic cones. The central part of the urban area occupies a narrow isthmus between the Manukau Harbour on the Tasman Sea and the Waitemata Harbour on the Pacific Ocean. Auckland is one of the few cities in the world to have a harbour on each of two separate major bodies of water. Auckland is classified as a Beta + World City because of its importance in commerce, the arts and education. The University of Auckland, established in 1883, is the largest university in New Zealand. Auckland's landmarks such as the Auckland Art Gallery Toi o Tāmaki, the Harbour Bridge, the Sky Tower, and many museums, parks, restaurants and theatres are significant tourist attractions. Auckland Airport handles around one million international passengers a month. Despite being one of the most expensive cities in the world, Auckland is ranked third on the 2016 Mercer Quality of Living Survey, making it one of the most liveable cities. The isthmus was settled by Māori around 1350, and was valued for its rich and fertile land. Many pā (fortified villages) were created, mainly on the volcanic peaks. Māori population in the area is estimated to have been about 20,000 people before the arrival of Europeans. The introduction of firearms at the end of the eighteenth century, which began in Northland, upset the balance of power and led to devastating intertribal warfare beginning in 1807, causing iwi who lacked the new weapons to seek refuge in areas less exposed to coastal raids. As a result, the region had relatively low numbers of Māori when European settlement of New Zealand began. There is, however, nothing to suggest that this was the result of a deliberate European policy. On 27 January 1832, Joseph Brooks Weller, eldest of the Weller brothers of Otago and Sydney bought land including the site of the modern city of Auckland, the North Shore and part of Rodney District for "one large cask of powder" from "Cohi Rangatira". Under the Köppen climate classification, Auckland has an oceanic climate (Köppen climate classification Cfb), while according to the National Institute of Water and Atmospheric Research (NIWA), its climate is classified as subtropical with warm humid summers and mild damp winters. It is the warmest main centre of New Zealand and is also one of the sunniest, with an average of 2,003.1 sunshine hours per annum. The average daily maximum temperature is 23.7 °C (74.7 °F) in February and 14.7 °C (58.5 °F) in July. The absolute maximum recorded temperature is 34.4 °C (93.9 °F), while the absolute minimum is −3.9 °C (25.0 °F). High levels of rainfall occur almost year-round with an average of 1,115.5 mm (43.92 in) per year. Snowfall is extremely rare: the most significant fall since the start of the 20th century was on 27 July 1939, when snow stuck to the clothes of people outdoors just before dawn and five centimetres of snow reportedly lay on the summit of Mt Eden. Snowflakes were also seen on 28 July 1930 and 15 August 2011. Auckland hosted the 2017 World Masters Games between 21 and 30 April 2017. The NRL Auckland Nines was a rugby league nines preseason competition played at Eden Park from 2014 to 2017. According to the 2013 census, the primary employment industries of Auckland residents are professional, scientific and technical services (11.4%), manufacturing (9.9%), retail trade (9.7%), health care and social assistance (9.1%), and education and training (8.3%). Manufacturing is the largest employer in the Henderson-Massey, Howick, Mangere-Otahuhu, Otara-Papatoetoe, Manurewa and Papakura local board areas, retail trade is the largest employer in the Whau local board are, while professional, scientific and technical services are the largest employer in the remaining urban local board areas. The sub-national GDP of the Auckland region was estimated at NZ$93.5 billion in 2016, 37.2% of New Zealand's national GDP. The per-capita GDP of Auckland was estimated at NZ$58,717, the third-highest in the country after the Taranaki and Wellington regions, and above the national average of NZ$54,178. The city is home to some of the largest schools in New Zealand, including Rangitoto College in the East Coast Bays area, the largest school in New Zealand with 3191 students as of July 2017. Housing varies considerably between some suburbs having state owned housing in the lower income neighbourhoods, to palatial waterfront estates, especially in areas close to the Waitemata Harbour. Traditionally, the most common residence of Aucklanders was a standalone dwelling on a 'quarter acre' (1,000 m²). However, subdividing such properties with 'infill housing' has long been the norm. Auckland's housing stock has become more diverse in recent decades, with many more apartments being built since the 1970s – particularly since the 1990s in the CBD. Nevertheless, the majority of Aucklanders live in single dwelling housing and are expected to continue to do so – even with most of future urban growth being through intensification. Auckland's housing is amongst the least affordable in the world, based on comparing average house prices with average household income levels and house prices have grown well above the rate of inflation in recent decades. In February 2017, Quotable Value reported the average house price for Auckland metro was $1,044,000, compared with $590,000 in Wellington metro, $532,000 in Hamilton, $499,000 in Christchurch, and $158,500 in the Ruapehu District (the area with the lowest average house price in New Zealand). There is significant public debate around why Auckland's housing is so expensive, often referring to a lack of land supply, the easy availability of credit for residential investment and Auckland's high level of livability. Towards the end of the first decade after 2000, a housing crisis began in Auckland with the market not being able to sustain the demand for affordable homes. The Housing Accords and Special Housing Areas Act 2013 mandated that a minimum of 10% of new builds in certain housing areas be subsidized to make them affordable for buyers who had incomes on par with the national average. In a new subdivision at Hobsonville Point, 20% of new homes were reduced to below $550,000. Some of the demand for new housing at this time was attributed to the 43,000 people who moved into Auckland between June 2014 and June 2015. From 1989 to 2010 Auckland was governed by several separate city and district councils. In the late 2000s (decade), New Zealand's central government and parts of Auckland's society felt that this large number of councils, and the lack of strong regional government (with the Auckland Regional Council having only limited powers) were hindering Auckland's progress. A Royal Commission on Auckland Governance was set up in 2007, and in 2009 recommended a unified local governance structure for Auckland, amalgamating the councils. Government subsequently announced that a "super city" would be set up with a single mayor by the time of New Zealand's local body elections in 2010. Many aspects of the reorganisation were or are still controversial, from matters such as the form of representation for Maori, the inclusion or exclusion of rural council areas in the city, to the role of council-controlled organisations that are intended to place much of the day-to-day business of council services at arms length from the elected Council. Auckland, because of its large population, is covered by 22 general electorates and three Maori electorates, each returning one member to the New Zealand House of Representatives. The governing National Party holds thirteen general electorates, the opposing Labour Party holds eight general electorates and all three Maori electorates, and ACT holds the remaining electorate (Epsom). Auckland has various small regional airports and Auckland Airport, the busiest of the country. Auckland Airport, New Zealand's largest, is in the southern suburb of Mangere on the shores of the Manukau Harbour. There are frequent services to Australia, and to other New Zealand destinations. There are also direct connections to many locations in the South Pacific, as well as the United States, Asia, Vancouver, London, Santiago and Buenos Aires. In terms of international flights, Auckland is the second-best connected city in Oceania. There are no electricity generation stations located within the city. There were two natural gas-fired power stations (the 380 MW Otahuhu B owned by Contact Energy and the 175 Southdown owned by Mighty River Power) have been shut down. Since there is very little generation north of Auckland, almost all of the electricity for Auckland and Northland must be transmitted from power stations in the south, mainly from Huntly Power Station and the Waikato River hydroelectric stations. There have been several notable power outages in Auckland. The five-week-long 1998 Auckland power crisis blacked out much of the CBD after a cascade failure occurred on four underground cables in Mercury Energy's sub-transmission network. The 2006 Auckland Blackout interrupted supply to the CBD and many inner suburbs after an earth wire shackle at Transpower's Otahuhu substation broke and short-circuited the lines supplying the inner city. In 2009, much of the northern and western suburbs, as well as all of Northland, experienced a blackout when a forklift accidentally came into contact with the Otahuhu to Henderson 220 kV line, the only major line supplying the region. Transpower spent $1.25 billion in the early 2010s reinforcing the supply into and across Auckland, including a 400 kV-capable transmission line from the Waikato River to Brownhill substation (operated at 220 kV initially), and 220 kV underground cables between Brownhill and Pakuranga, and between Pakuranga and Albany via the CBD. 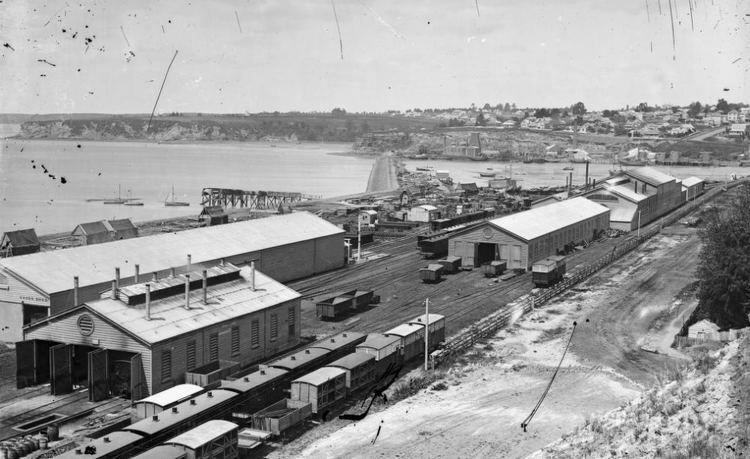 These reduced the Auckland Region's reliance on Otahuhu substation and northern and western Auckland's reliance on the Otahuhu to Henderson line.